The following news articles feature many of the community initiatives Active Green + Ross has been involved with in the past. Another successful Welcome to Canada Festa. 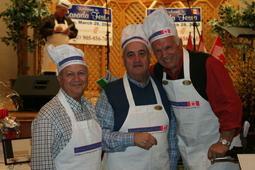 The event was co-chaired by Ralph Chiodo & OPP Commissioner Julian Fantino to raise funds for the PIER 21 Society. There was a wide variety of food prepared by notable chefs and served by national and local celebrities. Pier 21 is Canada's immigration museum and is located in Halifax. This national historic site was the landing place for one million immigrants from 1928-1971. Active Green + Ross is proud to be a major sponsor of the Toronto Ribfest, one of the largest Canada Day celebrations in Toronto. It is held over the long weekend at Centennial Park in Etobicoke. 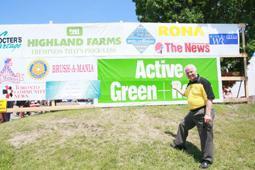 Year after year, this popular event put on by the Rotary Club of Etobicoke attracts over 100,000 visitors who come to enjoy live music, succulent ribs and much more… Ralph Chiodo President of Active Green + Ross is a Member of the Rotary Club of Etobicoke and Chairman of the event. All proceeds from this fundraising event are returned back to the community through charitable organizations who receive donations from the Rotary Club of Etobicoke.